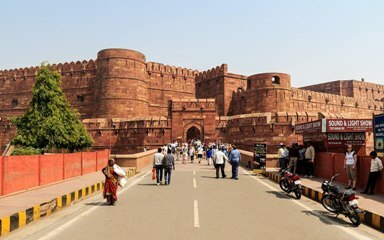 Pick up from hotel or Airport in Delhi and drive to Agra by cab – 3 hours drive through newly built Yamuna Expressway. Midway you can stop for refreshment if you want. TAJ MAHAL( SUNRISE ) : Meeting tour Guide in Agra city and proceeding to Taj Mahal.Taj Mahal a world heritage site, built by fifth Mughal emperor Shah Jahan in loving memory of his beloved wife Mumtaz Mahal. Taj Mahal is made of pure White Marble and situated on right bank of river Yamuna. AGRA FORT : After Taj Mahal you will visit Agra Fort constructed by third Mughal emperor Akbar in 1565 A.D and includes other beautiful buildings like Diwan- I – Am, Diwan – I – Khas and Musamman Burj ( Where Shah Jahan was imprisoned and died ). 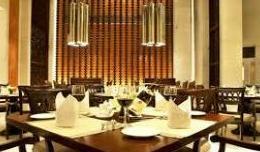 LUNCH BREAK : After Agra Fort you will be taken to Multicuisine AC Restaurant for Buffet Lunch on direct payment by You. MEHTAB BAGH : Finally you will proceed back to Delhi enroute Cab will stop at Mehtab Bagh for river side view of Taj Mahal. Drive to Delhi from Mehtab Bagh. On arrival at Delhi you will be dropped either at your hotel or Airport for your onward journey.